Training at Duke University, Dr. Georgiv Brusovanik is a minimally invasive spine surgeon. At the university, he concentrated on both neurosurgical and orthopedic studies. This has allowed him to focus on helping patients who are suffering from back and neck pain. Well known in Florida, Key West and and internationally, Dr. Brusovanik has been able to help many executives, celebrities, Olympic athletes and other professionals with their back problems. The first step in a spinal consultation is to try to help his patients find pain relief without surgery. If surgery is required, it is performed with a minimum of pain and with concentration on a speedy recovery. Many people suffer from back pain needlessly. Newer techniques, in advanced micro invasive spine surgery, have emerged the past few years and are available in our Miami, Florida office. We treat patients all across Florida and Key West as well as others seeking this kind of relief through our Fly In Program. We will be happy to arrange transportation from the airport, resort accommodations to fit your budget and a consultation with Dr. Brusovanik. During this consultation it will be possible to determine if you need surgery. If it is agreed that you need this procedure, you and Dr. Brusovanik can discuss and plan the proper operation needed to minimize your pain and help you assume your regular life style. A personal consultation and examination is ideal for the person who can travel and who wants a personal contact with the doctors prior to making a decision regarding spinal surgery. For those who do not wish to travel, we offer Virtual Consultation. From the comfort of your home it is possible to receive a personal contact with one of our surgeons. If it is determined that spinal surgery can help your condition, you will be contacted by our Patient Coordinator. At this time you will be informed regarding travel accommodations, local pre and post care lodging available, fees and other expenses. 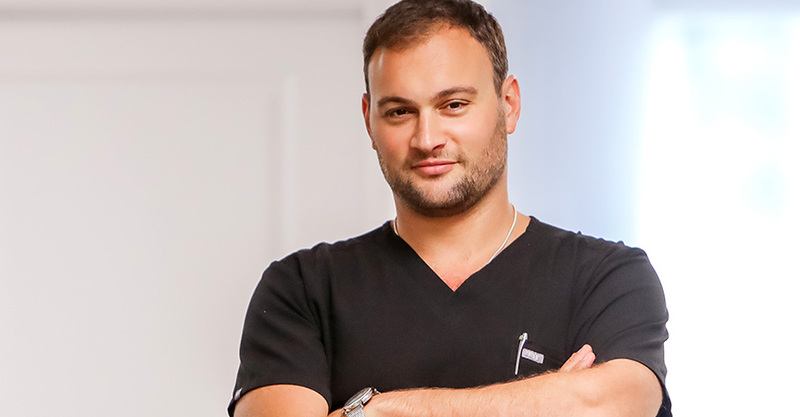 At Miami Back and Neck Specialists, Dr. Georgiy Brusovanik MD is proud to be recognized as an expert in relieving his patient’s sciatica, scoliosis and spinal cord compression problems with modern techniques that produce fast relief. If you are suffering from any back problems, give us a call today at 305.489.1881 and talk to a staff member. We are available 24/7.